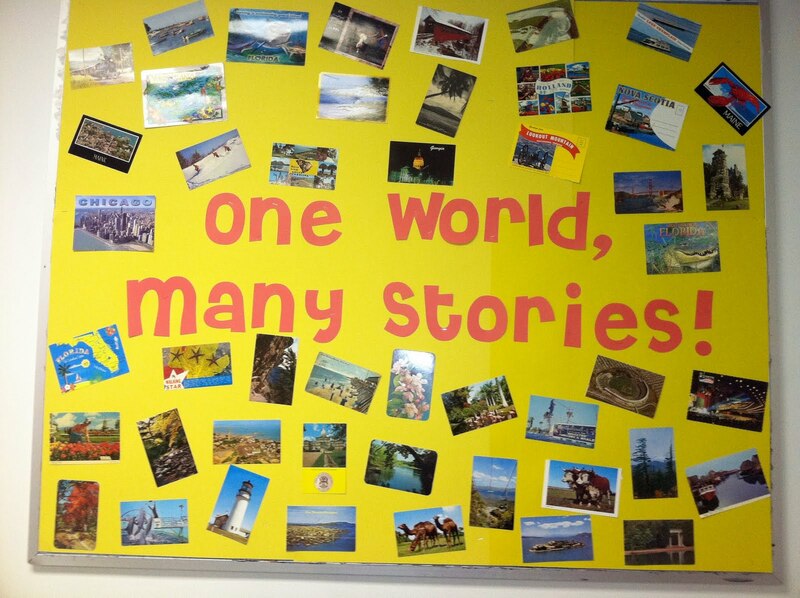 I wanted to share with you all quickly our summer reading bulletin board. 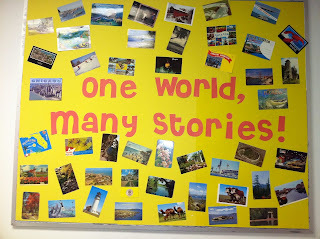 My state is part of the CLSP so we have "One World, Many Stories" for our theme this year. The postcards were either mailed to the library from staff's friends and family, or purchased at a garage sale. We didn't have a lot of luck getting them from people we know, but we hit the mother load at a garage sale. Once we had the postcards, I cut the words using the library's Cricut (the font is from Sesame Street's font cartridge and is Sunny Day, which is my favorite font for kids' stuff). I can't believe it's almost time for summer reading. We start mid-June, so just a few more weeks to go!